The Ridge Hotel is a modern and urban hotel located within the picturesque town of Lake Geneva, Wisconsin. Finishes in the hotel are sleek and contemporary with sprawling views of the lake. 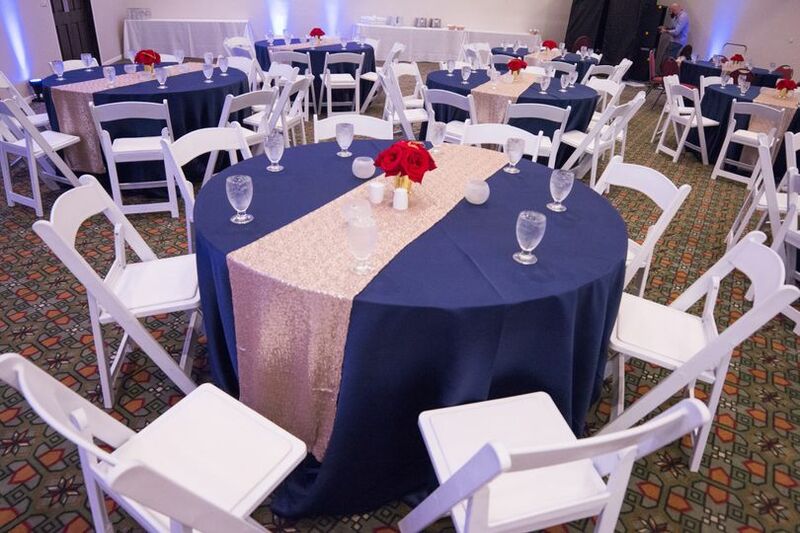 Couples can choose from four different venue spaces within the hotel, each customizable to fit your style and budget. 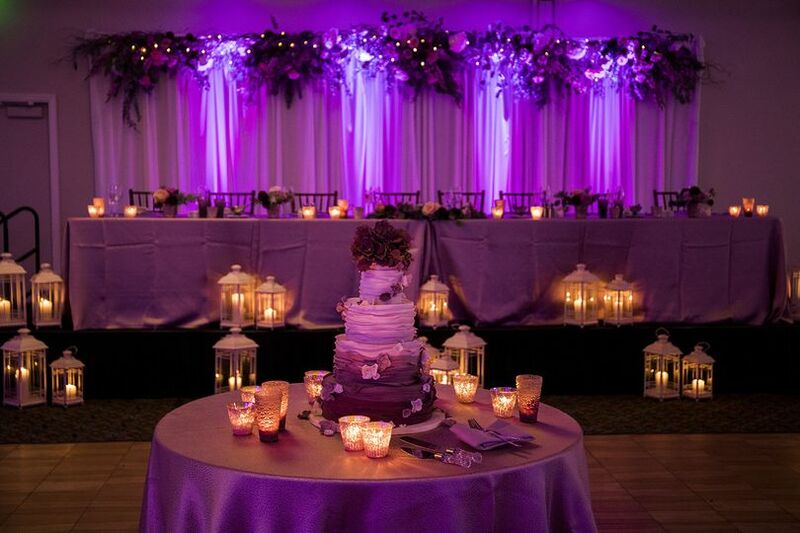 Saying “I do” at this locale will ensure you and your guests an experience that you won't forget! 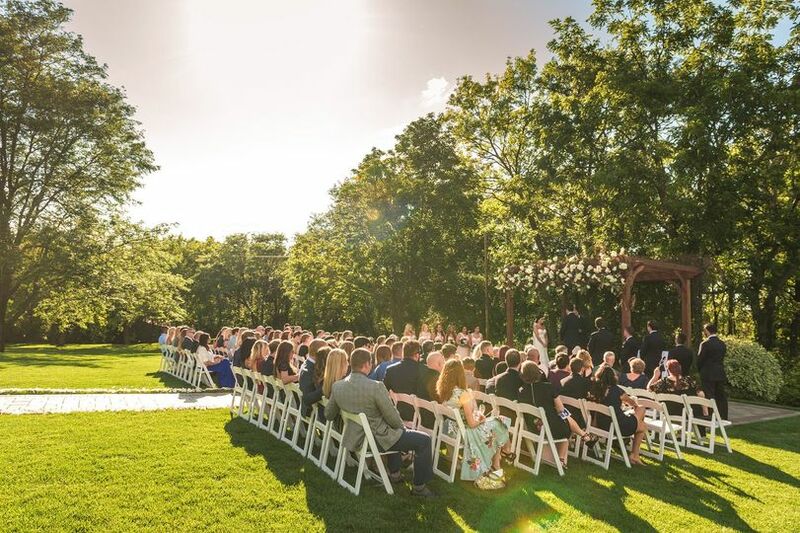 The Ridge Hotel can host up to 350 guests, and every size wedding in between. Bright and airy rooms give way to panoramic views of the lake that guests can enjoy during cocktail hour or the main reception. The Ridge Hotel is located in historic Lake Geneva, Wisconsin just three miles from the popular resort town. Many shopping, restaurant and dining attractions are all within a short commutable distance for your guests. The Ridge Hotel was literally the best decision we could have ever made when it came to choosing our wedding venue. Our coordinator Jourdan was there every step of the way working out details, budget, room set up, communicating with vendors etc! 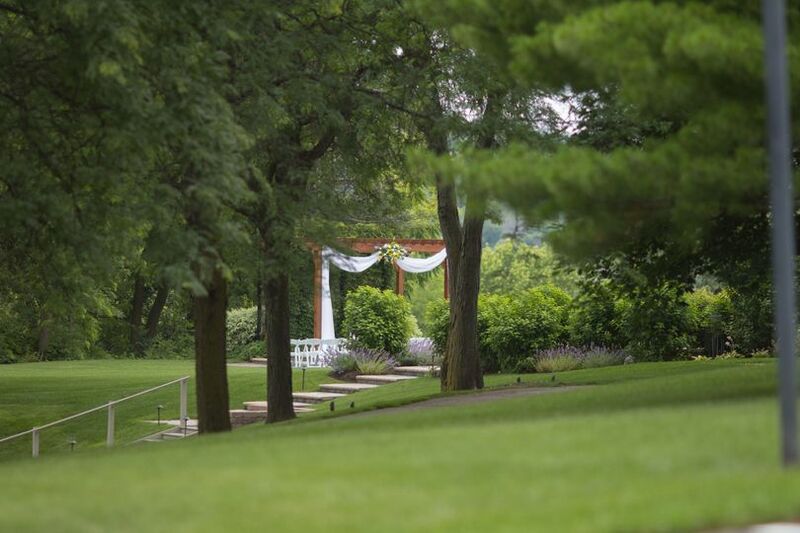 My husband and I looked for venues in Lake Geneva and knew the ridge was the one the minute we saw it! 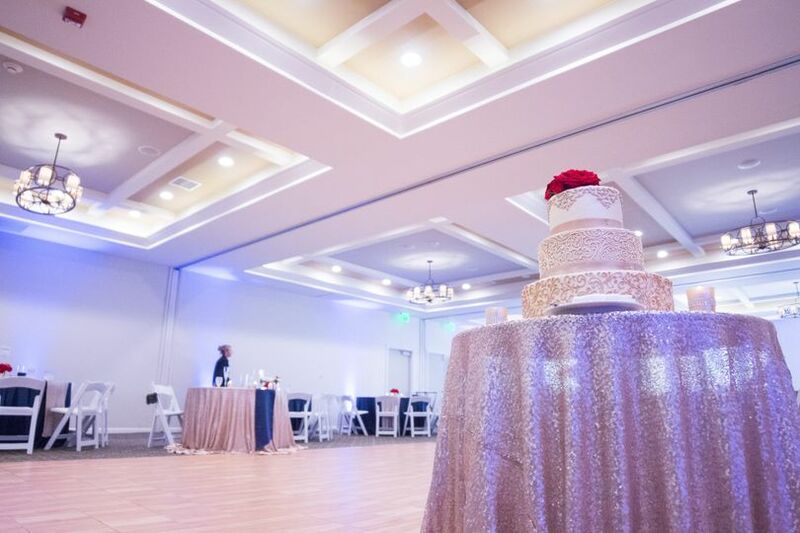 The Aspen ballroom was spacious and accommodated our 105 guests, our head table, a dance floor, cocktail tables, food stations for dinner and coffee and cupcake stations with room to spare! The adjoining fireside room was fabulous to take advantage of for cocktail hour, hors d’oeurves and apps, our bar, and gift/favor tables. However the real hidden gem of the ridge hotel is the back patio and pergola outside. They have the entire area beautifully landscaped with gorgeous flowers and shrubs, delicate bistro lights out back draping the wood work on the patio, the fire pit addition is an absolute must. 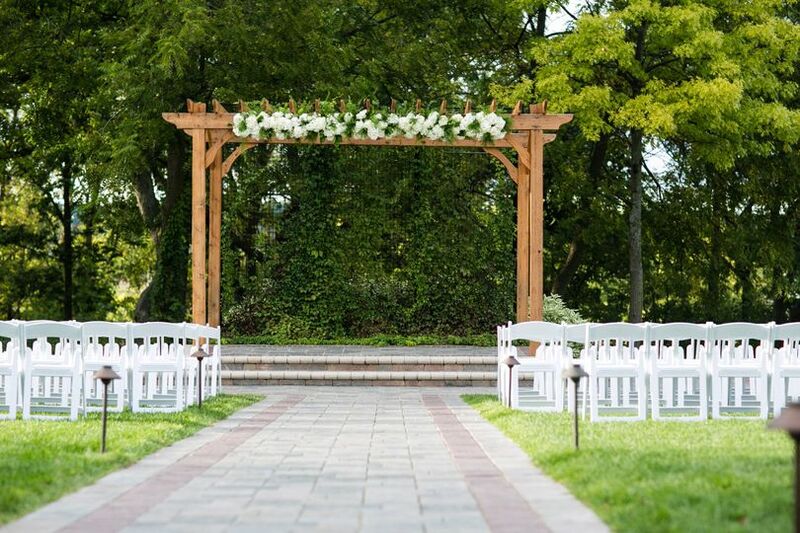 The pergola itself and the aisle leading up to it are beautifully done, and can be decorated stunningly for any event. We were able to customize our food and bar to accommodate allergies and special diets for our guests. The ridge made us feel comfortable and confident in serving to our gluten free, vegan, and vegetarian guests. All of the food was perfect, and our apps were delicious! The party stayed going until about 2 am and we just enjoyed the patio out back, sat around the fire with s’mores and drank champagne until we retired off to bed! We are so thrilled with our choice in venue, and all of our guests commented on how wonderful our wedding was. The coffee bar in the lobby was much appreciated the next morning, and I know a few of our guests indulged in breakfast at Americana the next day! Everything was absolutely fabulous. The only thing I will mention, because I wish someone mentioned this to me : is the ridge doesn’t provide the coloured lighting you see in many pictures. $120 at Home Depot fixed that! 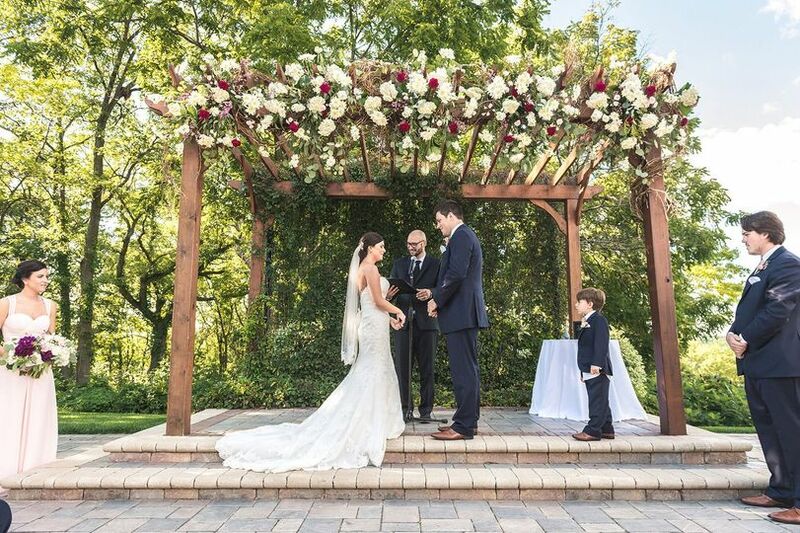 Corki Roth and The Ridge Hotel staff created our dream wedding! 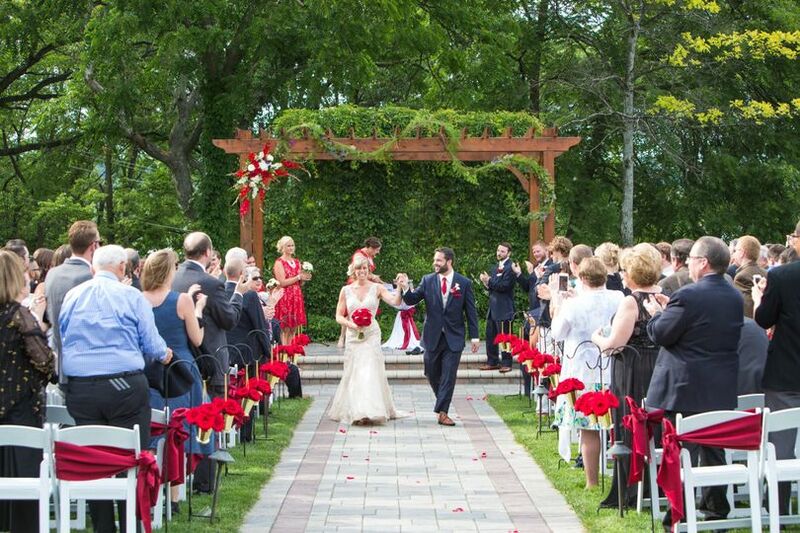 We valued having our ceremony, reception and lodging all in one place. Choosing The Ridge for our wedding was perfect. 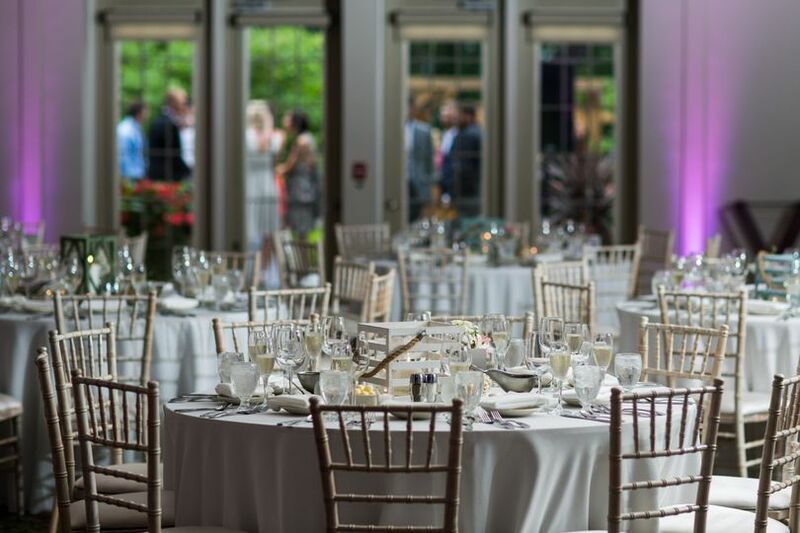 Everything from the outdoor ceremony space, to the enormous ballroom, was more than I could have imagined! The bridal suite was large enough that myself, all 10 of my bridesmaids, my mom, and mother-in-law were all able to get ready together! Every email and phone call were returned in a very timely manner. The staff was so accommodating, and an absolute joy to work with. If we had to do it over again, we would choose The Ridge every time!